Knaresborough CAMC site full to bursting. Perhaps unsurprisingly due to the weather and coupled with The Wanderer on site bar and bistro, the Knaresborough Caravan and Motorhome Club site was packed. Had a lovely weekend there and despite being full the wardens manage to present an immaculate site with that special Club “ordered calmness” which is such a distinctive and unique feature. Celebrating 130 years of The Wanderer. This June marks 130 years since the world’s first purpose-built leisure touring caravan, The Wanderer, took to the road on its maiden voyage. 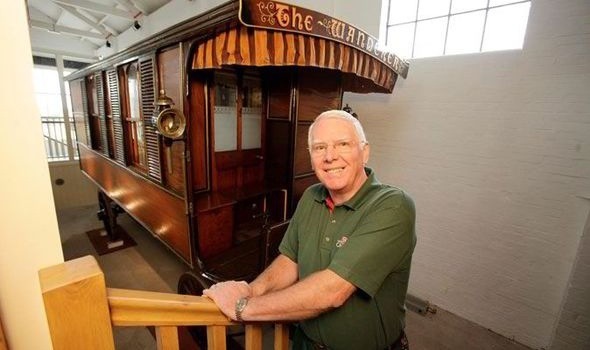 Twitter followers of The Caravan Club Collection, based at the National Motor Museum, Beaulieu, will be able to retrace the steps of The Wanderer online over the Summer months. Owned by popular Victorian Author, Dr William Gordon Stables, The Wanderer caravan travelled 1,400 miles during the Summer of 1885. It was towed by two horses from Twyford in Berkshire to Inverness, from where the caravan returned to London by rail before continuing its journey along the South Coast, reaching as far as Lymington in the New Forest. 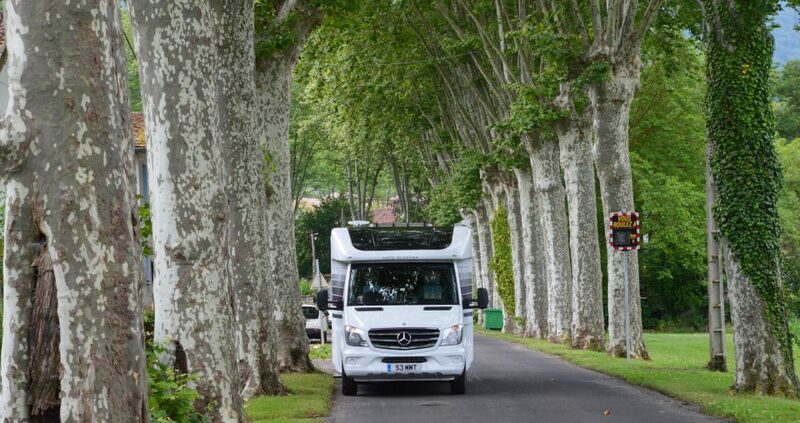 Highlights of this pioneering journey will be shared via The Caravan Club Collection’s Twitter account along with accompanying blogs. Details of the tour will be taken from Dr Gordon Stables’ account of his travels in his book The Cruise of the Land Yacht Wanderer, along with photographs and illustrations of the caravan which are on public display for the first time. This incredible caravan was bequeathed to The Caravan Club by the daughter of Dr William Gordon Stables in the 1960s, and can now be viewed by members staying at the Club Site at Broadway, Worcestershire, where it is on permanent display. To keep up to date with this celebration of The Wanderer’s first journey, follow The Caravan Club Collection on Twitter @TheCCCollection or through the hashtag #Wanderer130. Followers will also be invited to share their own pictures of the towns, villages and landmarks which Gordon Stables visited en route. Colin Elliott from the Caravan Club with The Wanderer at their site in Broadway. The Wanderer is the oldest caravan in the world and was made in 1884 by Bristol Wagon Works Company for Dr William Gordon Stables and has travelled tens of thousands of miles in its lifetime. The Edwardian holiday home weighs two tonnes and is 30 foot long. It boasts a bookcase, china cabinet and musical instruments in its stunning interior. It can be pulled by two horses and first went on tour in 1885 and was last used in 1960. It will now be housed at the Caravan Club site in the Costwolds. The caravan was inspired by traditional horse-drawn Romany wagons and it was restored in the decade running up to the Caravan Club’s centenary in 2007. Described as a “shed on wheels”, it was used by former owner Dr Stables as he traveled on holiday pulled by two horses named Captain Corn-flower and Polly Pea-blossom.